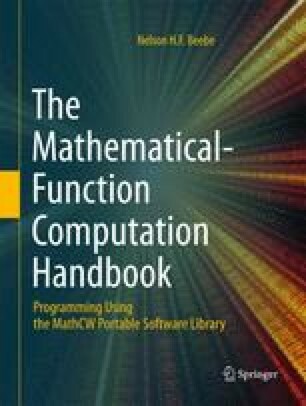 Apart from Fortran and symbolic-algebra systems, few programming languages support complex arithmetic. The 1998 ISO C++ Standard adds a standard header file, <complex>, to provide a complex data-type template, and prototypes of complex versions of a dozen or so elementary functions. The 1999 ISO C Standard goes further, offering a standard header file, <complex.h>, and a new language keyword, _Complex. When <complex.h> is included, the name complex can be used as a synonym for the new keyword, allowing declaration of objects of type float complex, double complex, and long double complex. Gauss established the modern theory of numbers, gave the first clear exposition of complex numbers, and investigated the functions of complex variables. — The Columbia Encyclopedia (2001).